With this product, you earn 10 loyalty points. A multifaceted assortment of false lashes, for a natural effect. 1. Size the lashes. Before gluing the lashes on, you will need to make sure they are not too wide for your eye. Hold the lash strips up against your eyelid, and trim them down on the sides if necessary. 2. 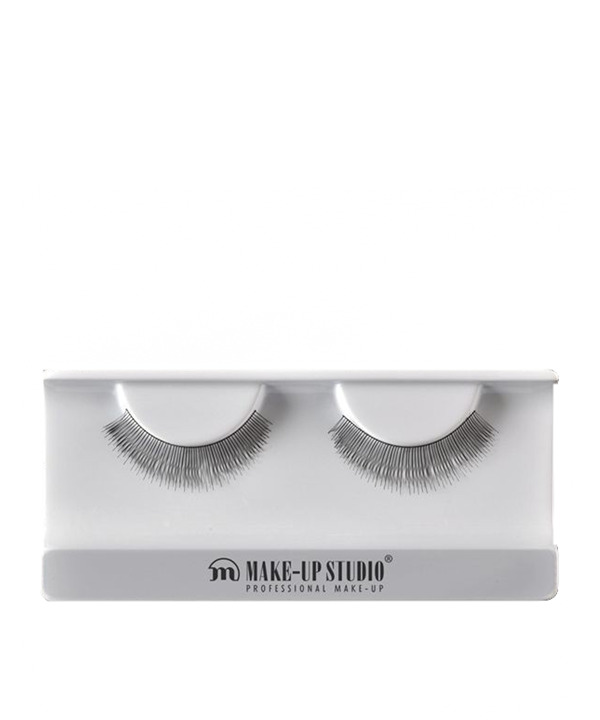 Apply the lash glue to the outer seam of the eyelash strip with an applicator or small brush. 3. Place the strip on your eyelid, positioning it as close as possible to your natural lashes. 4. Allow the glue to dry naturally.